Getting our families to eat more veggies is a struggle. We never hear our kids ask for celery sticks as an afternoon snack. One thing kids and adults agree on, we like to dip our food. Whether it is chicken nuggets in BBQ sauce or french fries in ketchup, we all like to dip our food. Lets use our love of dipping to get more vegetables in our kids daily diet. 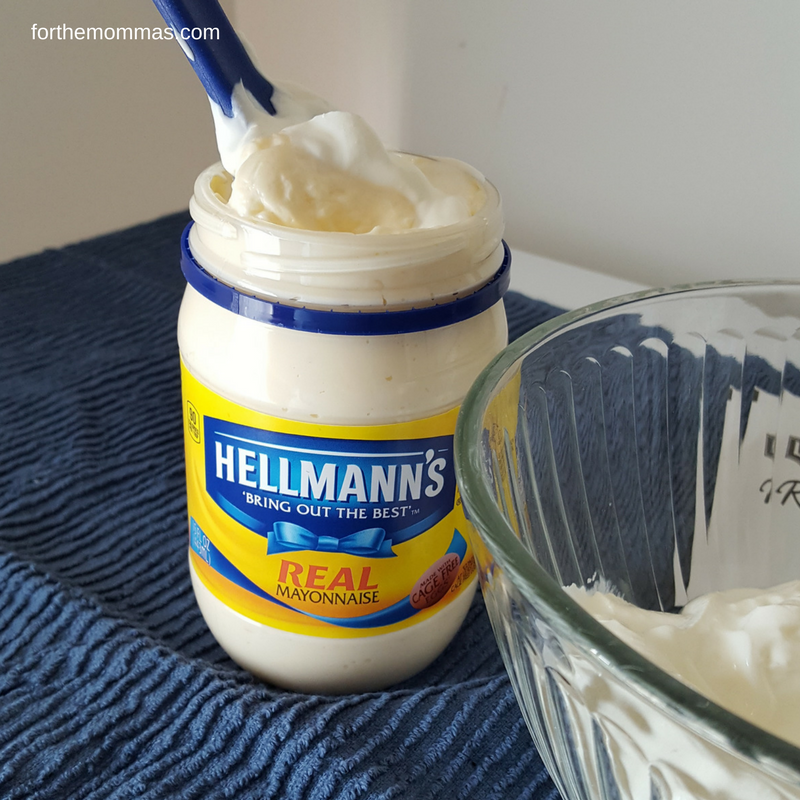 Thankfully, we can combine our favorite Hellmann’s Real Mayonnaise with a couple of other ingredients you probably have on hand to make an extra creamy onion dip recipe. Hellmann’s Real Mayonnaise is made from simple ingredients including at least 50% cage free eggs and responsibly sourced oils and vinegars. Their goal is to be 100% cage free by 2020. Swing by your local Target to pick up your dip ingredients and you can save a little money. Starting on 4/1 through 4/7/18, you can save on Hellmann’s with a temporary price cut at Target. You can pickup two 30 oz jars for $7.00. Starting on 4/15, there will be a Target Cartwheel offer to save 25% off one 30 oz jar. So time to stock-up and get ready to dip all those tasty spring veggies. 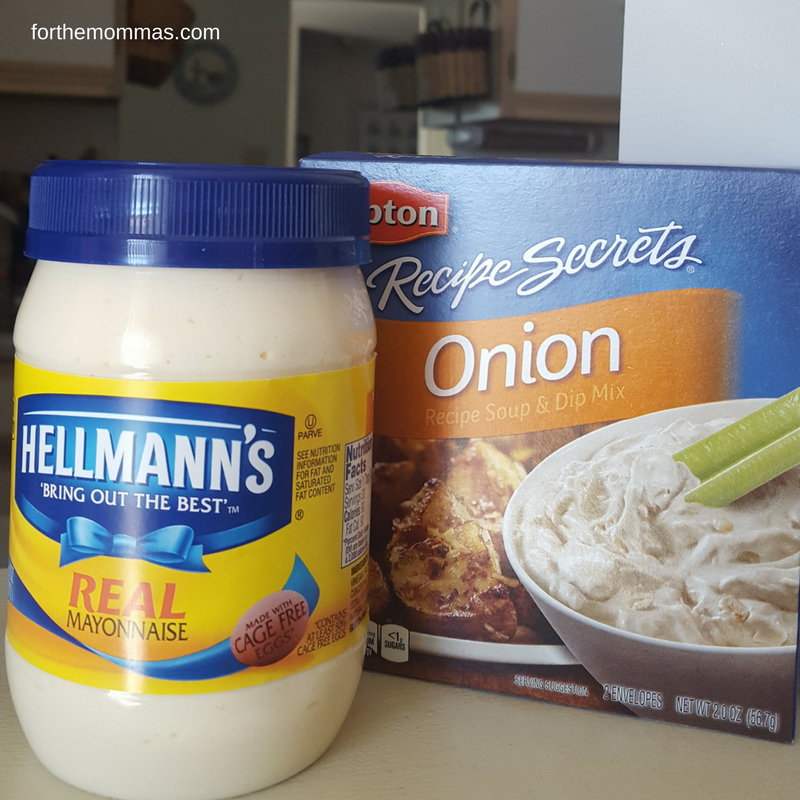 I picked up a jar of Hellmann’s Real Mayonnaise, some 2% Greek yogurt and Lipton Recipe Secrets Onion Soup Mix to whip up this extra creamy onion dip recipe. 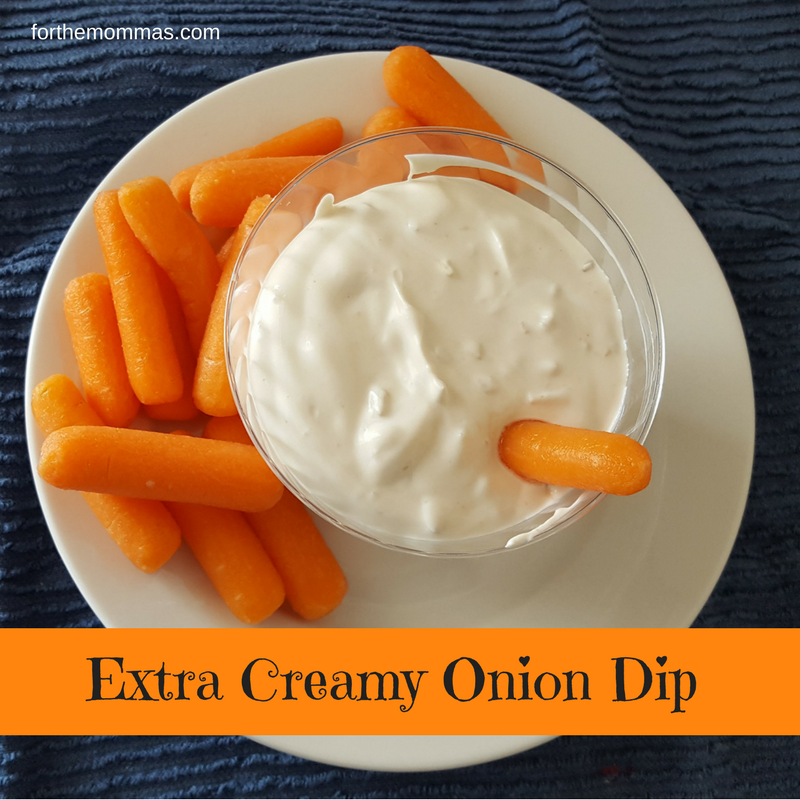 I know most people think chips and dip, but this dip is great to get your children to eat their veggies as a snack. 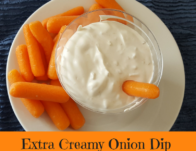 This dip is great with baby carrots, baby sweet bell peppers, even asparagus. I like this dip with some cucumber slices. Yummy!